mileawayantiques has no other items for sale. Vintage Fire King Anchor Hocking Milk Glass Swirl Cereal Salad Bowl 7.5"
LARGE Vintage McKee Glasbake # 4141 Fish Dish - Plate Excellent Condition! 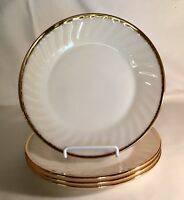 Anchor Hocking Depression Glass Miss America Clear 3 Toed Cake Plate 12"